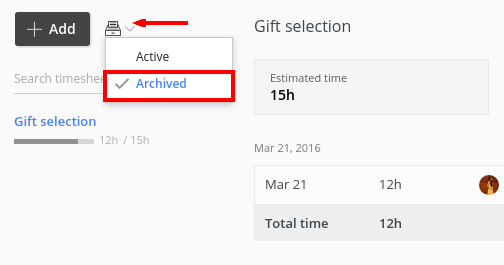 Right click on it and choose Archive option, your timesheet will be archived. To view archived timesheets, click Filter available besides Add button and choose Archived option. It will then display you all archived timesheets on your page. 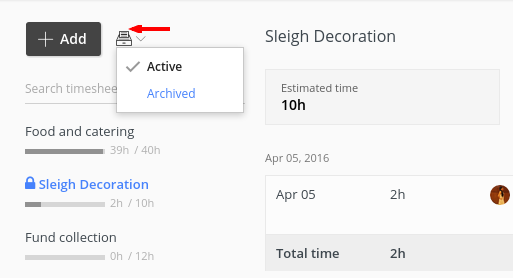 Select Archived from filter and all archived timesheets will be displayed. 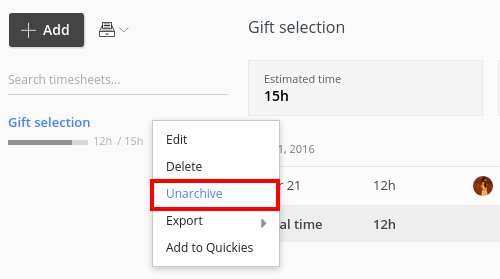 Right click on timesheet and choose Unarchive option. 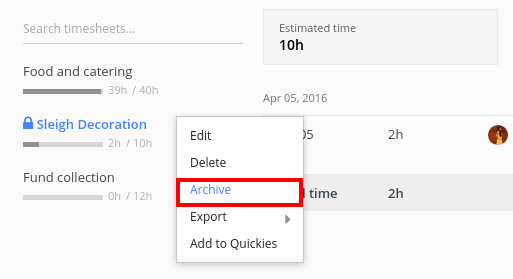 Once you unarchive any timesheet, you will be taken to list of active timesheets and that un-archived timesheet will be selected.